Don Aldrich was born on February 17, 1929 in Nampa, Idaho to Harry and Sarah Aldrich, he was the youngest of eight children. 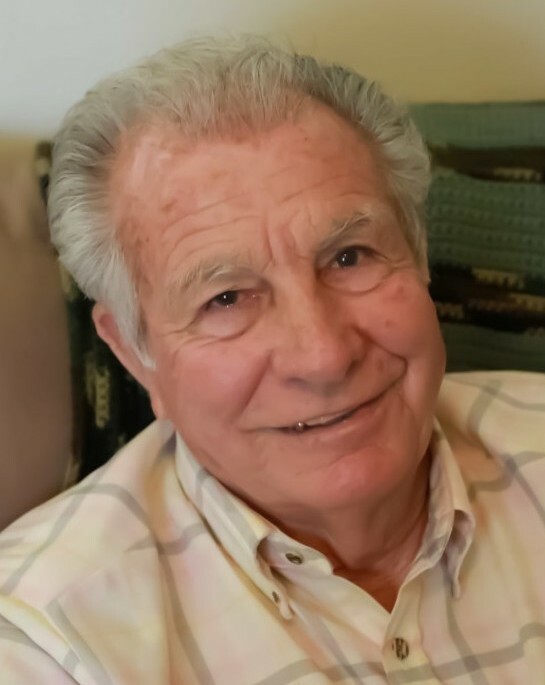 He passed away February 3, 2019 in Nampa, Idaho. Don was raised in Nampa and Burley; he attended school until the 8th grade and had to leave in order to help support his family. He enlisted in the U.S. Army Air Corps and served a tour over in England. Don was honored and proud to serve his country. He then returned home to care for his mother. Don held different jobs throughout his life in the Nampa area. The two jobs that he was most proud of was a house relocation business that he and his brothers owned. The other was working as a welder for the PFE shops and he retired from there with over 33 years of service. In 1953, Don married Shirley LeFavour and they raised eight children in a house that he and his brothers built here in Nampa. Don married Lucille Dines in 1976 and remained married until her passing in 2016. Don enjoyed many hobbies including metal detecting, coin collecting, auctions, yard sales, long walks, and bike rides. His favorite hobby by far was rebuilding and restoring old cars and driving his hot rod through town. He was so proud when he won a trophy for his hot rod. Don had eight children, Karen (Greg) Cowper, Karla Eichelberger, Rick (Laurie) Aldrich, Debbie Aldrich, Trudi (Robb) Mann, Cindy (Curtis) Bly, Rhonda (Bruce) Hughes, and Jeffrey (Twila) Aldrich. He also had numerous grandkids, great grandkids, and great-great grandkids. His greatest joy was spending time with his kids and grandkids. He is survived by his children and sister, Vernice Zanco. He is preceded in death by his parents; brothers and sisters; his wife, Lucille; daughter, Karla; and granddaughter, Cassandra Aldrich McKinney. Our father was a man of great character. He was honest, respectful, loving, nurturing, kind, funny, and silly. He was admired because of the man he was and was always willing to lend a hand to his family and friends. Above all, he was the greatest Dad any kid could ask for we were truly blessed. Dad we will miss you terribly and we love you always and forever. A visitation will be held 5:00-7:00 PM on Sunday, February 10, 2019 at Alsip and Persons Funeral Chapel, 404 10th Avenue South, Nampa, ID. A funeral service at the funeral chapel will be Monday, February 11, 2019 beginning at 11:00 AM. Following the service interment will be in Kohlerlawn Cemetery, 76 6th St. North, Nampa, ID.